Re-configuring an undersized floor plan into an open floor plan requires being open to new ideas. Sometimes, removing a preexisting support wall allows us to expand and combine living spaces. This improves visual sight lines and traffic flow. The new configuration also allows for more countertop work areas and storage space. With the added square footage, you can also add a great deal of fashion to the new space. In this particular example, fluted cherry wrapped columns conceal the required supporting post. The columns also add additional layers of visual interest to the multi layered work stations in this island. Soapstone along with wood top counters adds a casual inviting atmosphere fusing old world charm with rich detailing and warmth of Brazilian stained cherry wood. Here, we also combined materials in the cabinet selections, mixing painted maple in a vintage oyster married with a coffee glaze, which adds additional texture. Once you meld the warmth of cherry wood to the oyster ample, it evokes a versatile timeless appeal. Custom cabinet lines allows for rich detailing. Using faithfully recreated traditional details can provide instant ambiance and layers of interest. In the example above, the door styles we selected were a traditional classic raised panel beaded inset with 5 piece drawer fronts. For the display cabinets, we chose Prairie-style doors with seeded glass accents and open book-ends. The clipped fluted corners on all cabinet ends amplify the attraction of detailing in this kitchen. An open floor plan also allows details in the cooking area to be enjoyed by everyone. Here you can see an example in which cooktop ventilation is hidden beneath beaded detailing of the wood hood, mirrored below in the beaded back splash. Architectural decorative legs anchor the cooktop below. A streamlined stainless steel farmer’s sink fuses ideas of yesterday with the materials and clean lines of today. In a space like this, any chef can feel inspired. Open kitchen layouts allow you to have a space you can organize your life around, with just the right blend of personality and functionality. We can call that “room for living.” One moment, you can be preparing pasta. The next, you’re uncorking a bottle of Cabernet at the seating area. There you can be pouring it with close friends and family without ever actually leaving the kitchen. An open layout adds a social element that traditional closed-in kitchens simply don’t offer. For a chef that loves to cook and entertain, a closed-in space can leave one uninspired. It also leaves out of the social indulgence that an open floor plan offers. The newly designed reconfiguration and combining of two rooms now allows for full family participation. Function is the new fashion. When you think of home remodeling, do you think of upgrading to add value, or do you think of the remodel lasting into your golden years? An upward trend shows more homeowners are considering the longevity and accessibility of their remodeling projects. One factor in this consideration is the option to do what is referred to as age in place. Aging in place refers to the concept of designing for senior living in the residence they choose, in order to maintain a healthy and happy quality of life. Having a home that will accommodate for future needs such as physical restrictions and safety will offer great value whether you choose to stay in the home or sell. This kitchen was designed with a desk area, refrigerator drawers and open space, just to name a few options, in order to accommodate the homeowner who is handicapped. Universal design in spaces such as the kitchen and bath areas includes wider doorways, storage options that are below the countertop height, refrigerator and microwave drawers, seamless thresholds, grip bars, high friction tiles and roll-in showers, just to name a few. There is an idea that designing for a universal fit will leave the space looking sterile and institutional, having a bland aesthetic, rather than feeling like home. But as you can see with these pictures of homes designed by Kitchen Views, a home that is designed for future needs and physical challenges can be beautiful. This is where you work hand in hand with your designer. As a team, you will be able to come up with the look and feel you want while your designer has the expertise to inform you of potential issues that may impact the functionality of your space in the future. To give you an example of how unexpectedly things in life can change, and how your surroundings directly impact your life, read this article on page 5 of our Kitchen Views magazine, summer 2009, titled Things Change. Thinking of the future may be a challenge, but our design professionals are here for you and happy to help every step of the way. 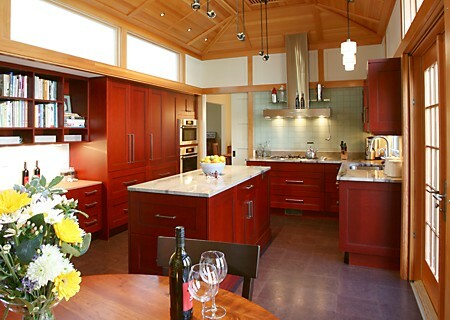 For more inspiration, visit us online at kitchenviews.com and on Houzz.com. To speak with one of our designers, click on his or her photo for contact information. Kitchen Views – Where the designers are pros, and the views are yours! Is It Really Better To Look Good Than To Live Good? 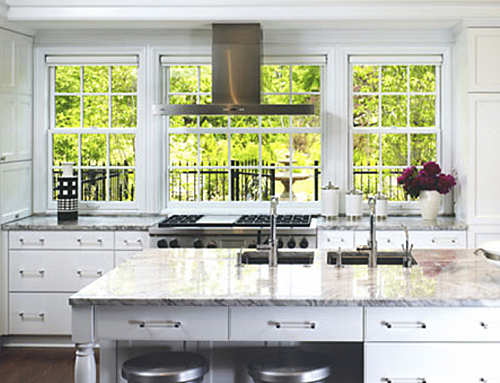 What do you do when it comes to remodeling or redesigning your kitchen? In this digital age of television and the World Wide Web, we are constantly reminded of the kitchen being the gathering place in the home. Think of how many kitchens you’ve seen on TV, in magazines or in online ads or DIY (do it yourself) websites and segments. Have you ever found yourself thinking, “Wow! I would love to have that kitchen,” because you fell in love with the look of it? To go back to Fernando’s slogan, let the question be this: is it really better to look good than to live good? In the case of kitchen design, we can equate this concept to beauty versus function. Will having a beautiful kitchen always allow you to live good? Would you rather have a beautiful kitchen that forfeits some functionality and may be potentially hazardous to live with? There are lots of design concepts that can balance both beauty and function, but others can be down-right dangerous. 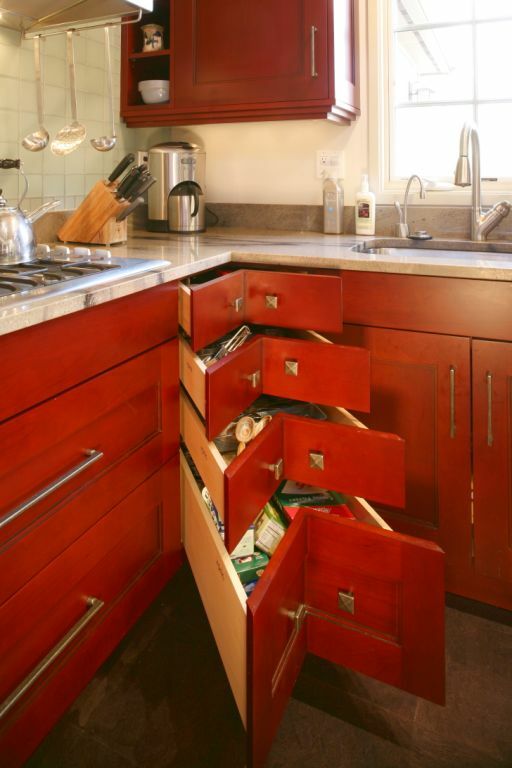 Paul McAlary, kitchen industry professional, describes different scenarios and accidents waiting to happen in his article, Death by Kitchen Design. Read his post on the daily5remodel.com blog and educate yourself on potential kitchen dangers before you delve into your own remodeling project.